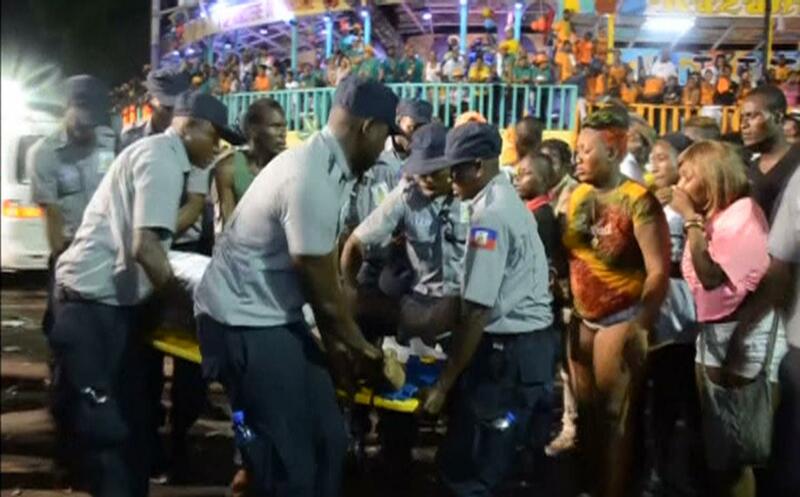 Haiti Carnival disaster: Power line electrocutes revelers in Port-au-Prince. Video from the scene shows sparks coursing from the wire after a singer from the Haitian hip-hop group Barikad Crew was touched by an overhead power line as the float passed beneath it. The wire appeared to have electrocuted several others as well. Three were killed Tuesday in a similar incident in Brazil, where at least 16 people were also fatally electrocuted during Carnival in 2011.